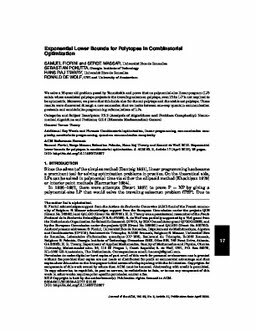 We solve a 20-year old problem posed by Yannakakis and prove that no polynomial-size linear program (LP) exists whose associated polytope projects to the traveling salesman polytope, even if the LP is not required to be symmetric. Moreover, we prove that this holds also for the cut polytope and the stable set polytope. These results were discovered through a new connection that we make between one-way quantum communication protocols and semidefinite programming reformulations of LPs.